Catherine holds a first class honours degree in Ergonomics and a Diploma in Professional Studies from Loughborough University, where she was awarded the Ergonomics prize for academic excellence. She is a member of the Usability Professionals’ Association, and of the Institute of Ergonomics and Human Factors (IEHF), and won IEHF’s Hywel Murrell Award for her research into the mobile content user experience. 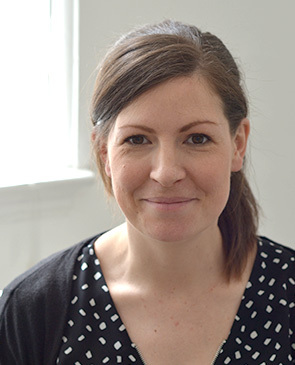 With extensive knowledge of user-centred design and behavioural research programmes, Catherine has managed studies nationally, internationally and remotely. She undertakes a wide range of consultancy work, including user interface design and development, focus groups, usability testing, participative design, ethnographic studies, mobile service concept design, and workplace ergonomics. Catherine spent an eight-month secondment at Vodafone as User Experience Research Lead. This involved managing every stage of user research and testing, from gathering internal stakeholder requirements and identifying suitable research approaches, to ensuring that deliverables met project teams’ needs. She previously worked as a research assistant at the Ergonomics and Safety Research Institute (ESRI). There she gained practical experience in a variety of ergonomic applications, as part of a team specialising in mobile and telecoms work. Usability testing and evaluation of products, interfaces and interactive systems. Evaluating how digital usability fits within the wider customer experience. End to end project management of user experience research, including agile, lean research programmes. In context research in domestic, retail and travel environments using a variety of ethnographic research tools. Tailoring research approaches for different audiences, including for children and teenagers. Creating and running workshops and group research activities to review designs, generate insights and inspire project teams. System, product and interface design, and wider UX design input including developing style guidelines.